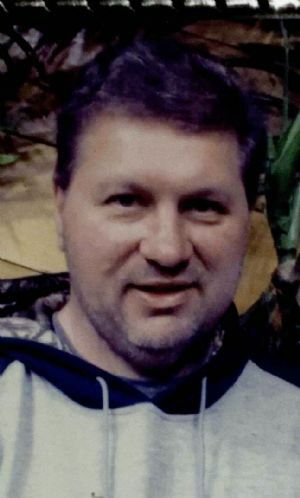 Dion L. Krueger, age 50, of Ripon, WI, passed away unexpectedly on Sunday, November 18, 2018, doing what he loved, hunting with his family. Dion was born on April 12, 1968 in Ripon, the son of Marshall and Karen (Zills) Krueger. He graduated from Ripon High School in 1987. Dion worked at Ripon Printers and most recently Alliance Laundry Systems in Ripon, where he was a member of Union Steelworkers of America - Local 1327. He was also a member of Our Saviour's United Church of Christ in Ripon. Dion enjoyed cutting wood with his step-father, Dave, spending time with his grandchildren, and had a passion for hunting and fishing with his family. Dion is survived by his girlfriend, Nicole Chabbouh; mother and step-father, Karen (Dave) Kanneman; children, Amber (Jimmy) Krueger, Kristin Krueger, and Dustin Krueger; grandchildren, Jayden, Alexa, Dannica, Makayla, Dylan, Emerey, Ryker, and Kealii; a brother, Brian (Tammy) Krueger; two sisters, Terri (John) Taylor and Rachel (Mike) Miller; and many nieces and nephews. He was preceded in death by his father, Marshall Krueger; paternal grandmother, Lillian Krueger; maternal grandparents, Walter and Arlene Zills; and an uncle, Duane Zills. Visitation for Dion will be held from 1:00 pm until 3:00 pm on Sunday, November 25, 2018 at Butzin-Marchant Funeral Home, 515 Mayparty Dr., Ripon, WI, 54971. A Memorial Service for Dion will be held at 3:00 pm on Sunday, November 25, 2018 at Butzin-Marchant Funeral Home with Rev. Dr. Kevin P. Mundell officiating. A memorial in Dion's name is being established.